The resulting green receptacles are about twice the size of the old model they replaced, with bigger wheels and a rodent-resistant rim. Where the old bin just had a latch, the new one has a rotating handle on the lid that connects to a disk on the inside, which, when the lid is shut, fastens into a German-made “gravity lock.” This feature makes it easier to flip the bins upside down in order to empty them. Dozens of raccoons were pitted against the test model and they all failed to get in. The city has since deployed a half a million of these bins. 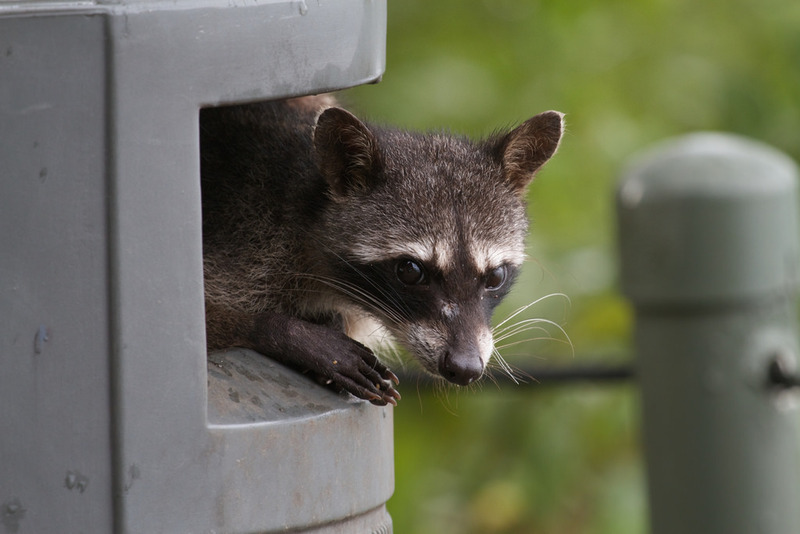 Journalist Amy Dempsey was researching the bins and raccoon behavior when her reporting took an unexpected turn down her own garbage-strewn alleyway. Had local raccoons finally figured out how to defeat the greatest human effort in our “war” against their kind? Her accidental investigation found answers amid the scraps. 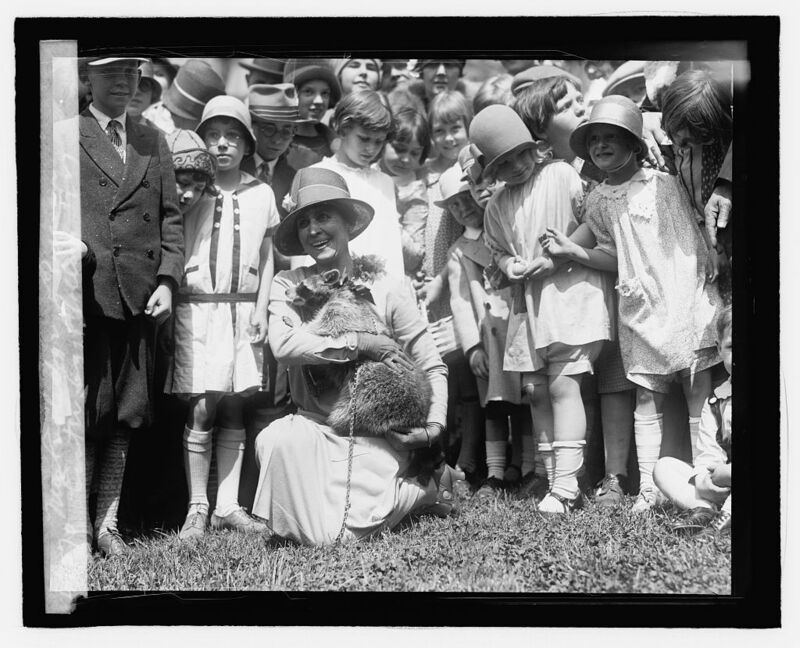 Today, perspectives on raccoons vary — they have their fans and critics — but historically, they were seen not just as cute synanthropes or pesky critters, but as sources of fur and food, too. So when a Mississippi resident sent President Calvin Coolidge a raccoon for Thanksgiving in 1926, he expected it to be served up for dinner, and it wasn’t that unusual of an expectation. 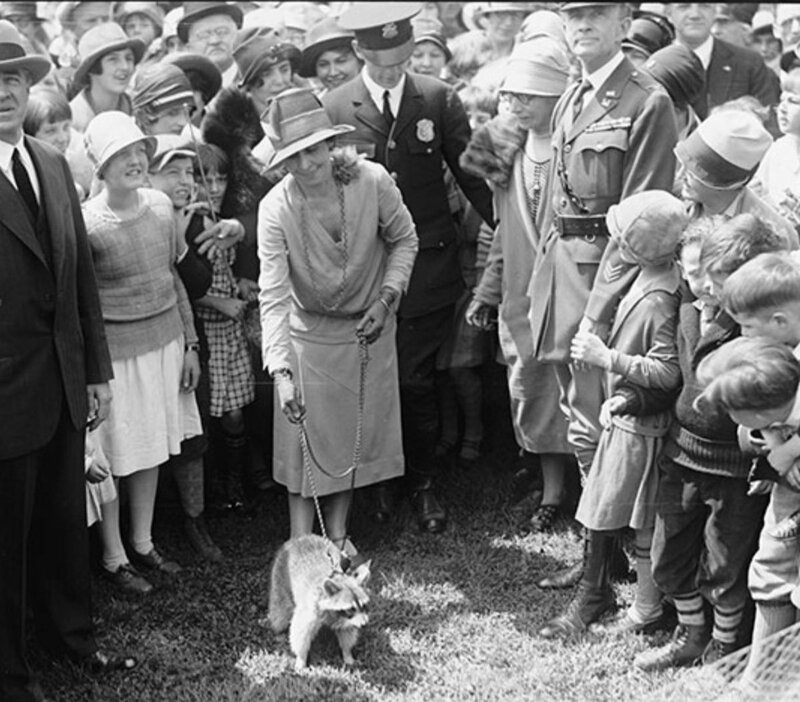 But when President Coolidge and his wife Grace received the raccoon, they decided to adopt her instead, adding “Rebecca” to a long list of exotic animals the First Family were gifted over the course of Calvins’ presidency. The couple had the usual suspects (dogs, cats and birds) but were also given animals including a wallaby, a bear, a pair of lion cubs and a pygmy hippo. 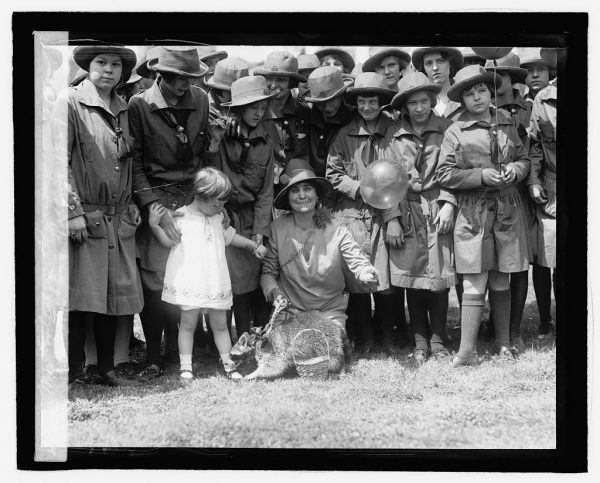 Many of these came from American hunters or foreign dignitaries who knew of the White House menagerie. Some were kept and others were donated to local zoos better equipped to handle them. Rebecca did both, living first for at a time in the White House (or, as one reporter at the time put it: the “Pennsylvania Avenue Zoo”) . Grace would take her for walks by day, and at night Rebecca would curl up in Calvin’s lap by the fireplace. Still, Rebecca was a wild animal. She became infamous for chewing her way out of enclosures and wriggling out of collars and clawing up the furniture. There are also stories of the Secret Service chasing her up trees while trying to catch her. Ultimately, she spent a lot of time in a little wooden house they put up for her on the South Lawn with an engraved nameplate hanging over the entrance. 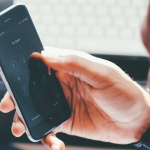 Producer Katie Mingle spoke with Journalist Amy Dempsey, investigative feature writer for the Toronto Star. 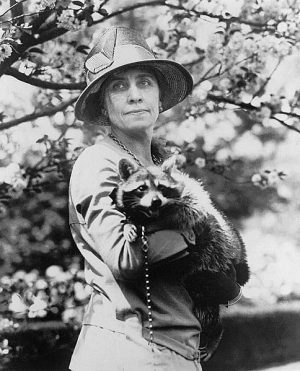 Coda on Rebecca the White House raccoon with Kurt Kohlstedt. Love this story, I grew up in Oakville, just south of Toronto and never really realized that raccoons weren’t as crazy outside of southern Ontario until I moved out west. My favorite raccoon story is about the first week we we received a dedicated green bin; my family were convinced we were more targeted by these villains than others in the neighborhood, likely due to my mom’s superior cooking, but the first time we locked away all the goodies in our green bin they couldn’t get at the trash they loved. Presumably it was a lengthy siege, but the green bin ultimately won, so the raccoons left, but not without taking a large poop right in the center of our door matt at the back door, near the bin, as a last tiny fury middle finger. I’m still amazed at the pure malice. Of course they figured out the bin by the next week. I’m no bin engineer, but one solution seems to be a removable lock handle. No handle? No access.